Scenic Cruises is offering a number of holiday cruises, including one that sails to three capital cities in four countries via three rivers. The Amsterdam-to-Budapest cruise departs Dec. 21 with reduced pricing starting at $5,385 per person, double. The all-inclusive, air-inclusive cruise sails on the Rhine, Danube and the man-made Main-Danube Canal to ports in the Netherlands, Germany, Austria and Hungary. The company operates what it calls “Space-Ship” vessels with large staterooms and suites, more than 80 percent with balconies. 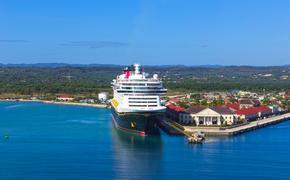 The cruises include excursions, butler service in Junior and Royal Suites, tour leaders, entertainment, meals in three restaurants, escorted airport transfers and gratuities. Prices range from $5,385 to $7,600 per person, double. The free airfare for this sailing is good from most U.S. gateways and must be booked through Scenic Cruises. Deadline is based on space available. Air taxes are additional and start at $471 per person. For more information, call 866-689-8611 or visit www.scenictours.com.